It’s late when I first get to Portree and I just manage to get to the Information Office before they close. Despite it being October it’s still busy in town and there’s no room at most inns. I roll into the main hostel on the square with the aim to sort out better accommodation in the morning. “Pat!” I reply as I grin back at the man who ran the Glenbrittle climbing lodge I stayed at last year. Pat was a wealth of information and he guided me to all the best places on the island. It was partly down to his recommendations that I fell in love with Skye and decided to move here. Bumping into pretty much my only friend here within 10 minutes of getting out of the car is pretty indicative of Skye life. It’s not a small island but everyone seems interconnected in some way here. Saying “it’s a small world” doesn’t quite cover it. This entry was tagged Blog, Eden, Hostel, Isle of Skye, Journey, Katie, katie tunn, Nomad, Old Friend, Portree, Scotland, Skye, Travel. Bookmark the permalink. 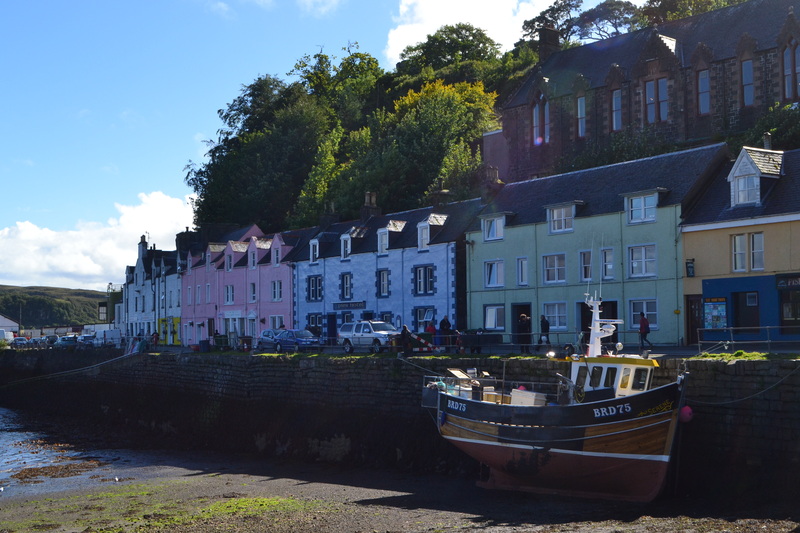 Glad to have stumbled upon your blog just as I’m wrestling with doubts over ever being able to return to Skye! Gorgeous pictures! Incidentally, when I last lived on Skye I was the Aussie girl managing that big yellow hostel, and prior to that Pat was my boss at the old SYHA in Kyleakin. It’s a small Skye world! Thanks for your lovely message.